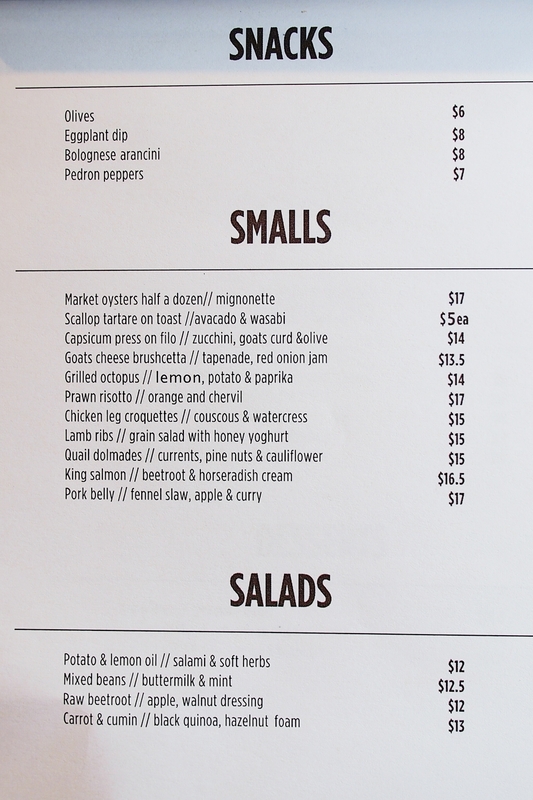 Vitis Eatery, which opened last week, is the "new kid on the block" in the Braddon precinct of Canberra. Owner Lucia Kovacova, originally from Slovakia, recently moved to Canberra but said she would happily spend the next 30 years here. I'm hoping she keeps her word because the newest addition to the vibrant collection of eateries on Lonsdale st looks very promising and ticks all my boxes so far. Funky decor. Tick. Delicious food presented elegantly. Tick. Shareable. Tick. Friendly staff. Tick. The decor, styled and made by interior designer Christiane Nowak, features elements found in nature - stones, wood and greenery. Let's delve a little deeper and see what I ordered on my first visit here (I say "first visit" because I'm already planning a return visit). 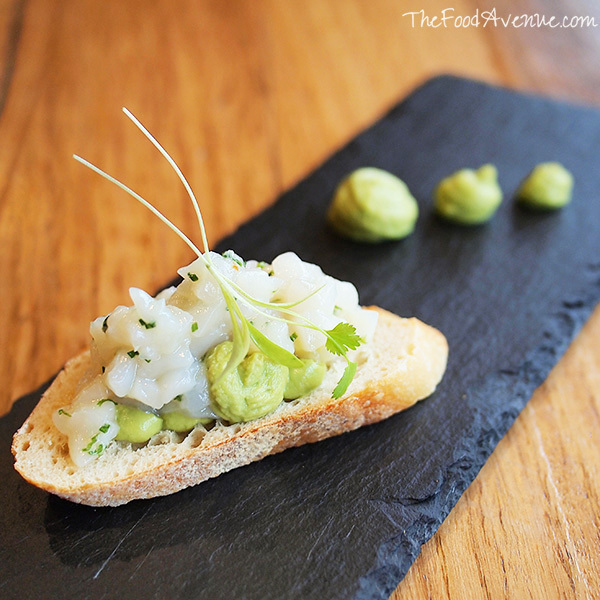 The Scallop Tartare on Toast ($5) immediately caught my eye and I knew I had to order it. As well as being beautifully presented, the generous portion of scallop tartare was very fresh and had a whisper of acidity. The wasabi avocado was the perfect creamy accompaniment and not overpowering. It was a fantastic start to the meal. 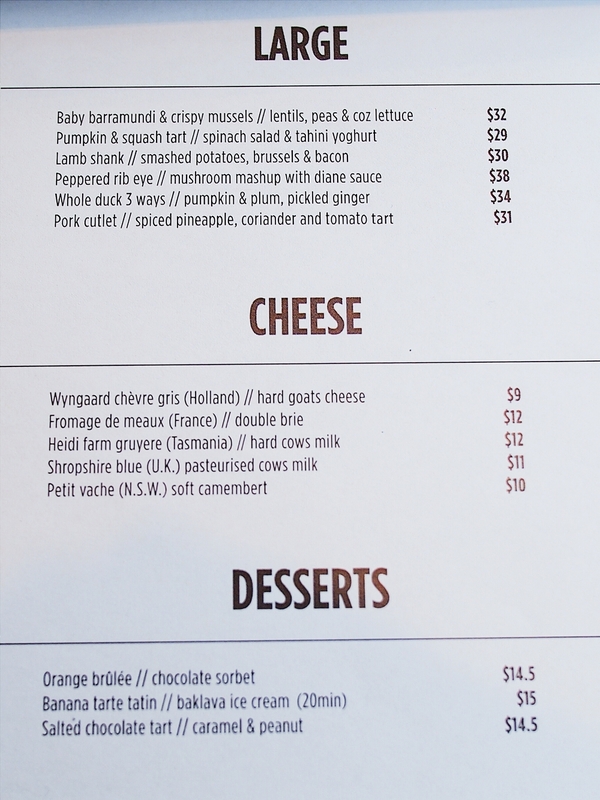 I loved the next dish too - Crispy lamb ribs ($15). The lamb was seasoned to bring out the natural flavour of the meat, which comes clean off the bone. The textures and flavours from the grain salad went amazingly well with the lamb - the pulses, almond slivers, and a hit of sweetness from the raisins, paired well with the parsley that was mixed through. The creaminess from the yoghurt was the extra touch that the dish needed. At this point of my leisurely lunch for one, I was enjoying the meal so much that I couldn't resist grabbing the menu again to order another dish - a snack, perhaps. 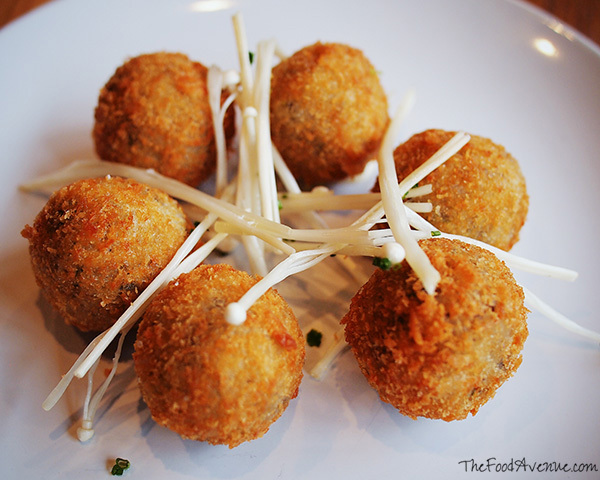 The Mushroom Arancini ($8) came in delightful bite-sized balls - excellent for sharing with friends! 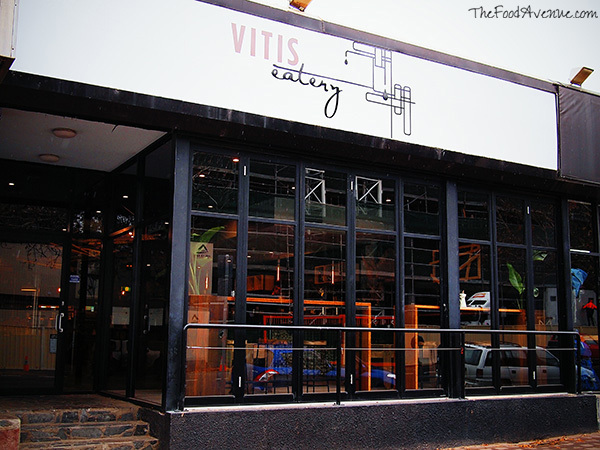 It was right then that Natasha dropped in to Vitis Eatery as well! Her timing was suspiciously perfect - to try the last of these morsels of crunchy goodness before they all went into my belly! The risotto filling was fantastic in its own right with rich mushroom flavours and a hearty texture. But it was made even better, wrapped by the crispy delicate outside layer (rather than a thick bready coating) which showcased the wonderful flavour of the filling inside. Without much arm-twisting (at all), we were convinced to stay on for desserts. The Orange brûlée with chocolate sorbet ($14.50) was a unique take on the classic crème brûlée. I think orange chocolate lovers will be fans of this dessert! I really wanted to order the Salted chocolate tart with caramel and peanut ($14.50) but that day, I was told it had been replaced with a Chocolate mousse with salted caramel ice cream ($14.50). My disappointment with the substituted dessert evaporated as soon as I took my first bite. 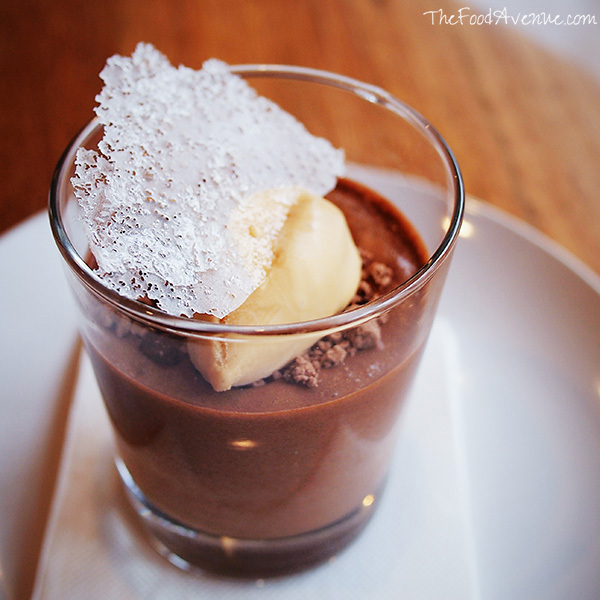 Every component of this dish was perfectly conceived and executed - from the wafer thin sugar crisp garnish, to the creamy salted caramel ice cream (which was simply divine), to the crunch of the chocolate soil, to the richness of the chocolate mousse. It all came together in one harmonious dish. One thing that really stood out to me throughout the whole meal was the consistency in the quality of each dish. It felt like much thought had been put into constructing each dish - the flavours as well as the textures were well considered. If I haven't convinced you to check this place out yet, let me reiterate the messages again. 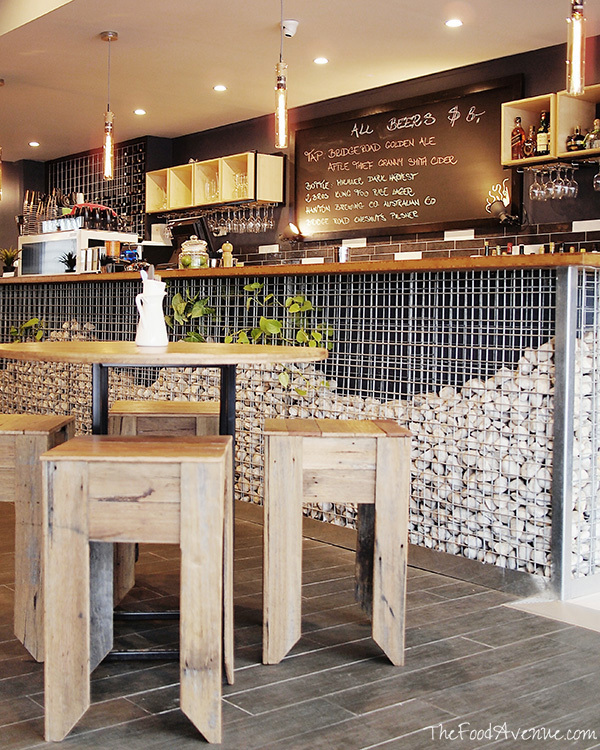 The place looks funky, the staff are friendly, the food is fantastic and very reasonably priced. I loved that the variety of textural elements gave each dish interest and distinction from each other. What more could you ask for?